Whilst Contemporary Worship Music arose out of a desire to relate the music of the church to the music of everyday life, this function can quickly be called into question by the diversity of musical lives present in contemporary society. 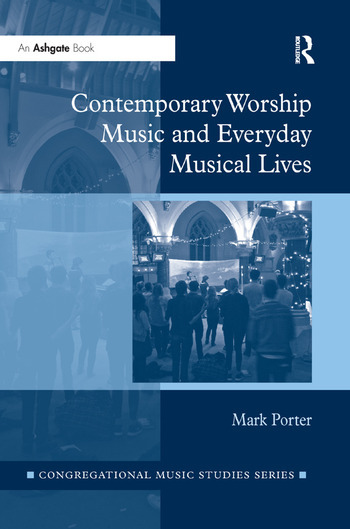 Mark Porter examines the relationship between individuals’ musical lives away from a Contemporary Worship Music environment and their diverse experiences of music within it, presenting important insights into the complex and sometimes contradictory relationships between congregants’ musical lives within and outside of religious worship. Through detailed ethnographic investigation Porter challenges common evangelical ideals of musical neutrality, suggesting the importance of considering musical tastes and preferences through an ethical lens. He employs cosmopolitanism as an interpretative framework for understanding the dynamics of diverse musical communities, positioning it as a stronger alternative to common assimilationist and multiculturalist models.